I'm so excited for the launch of the beautiful Singing in the Rain Collection. This one is sure to put a smile on your face! 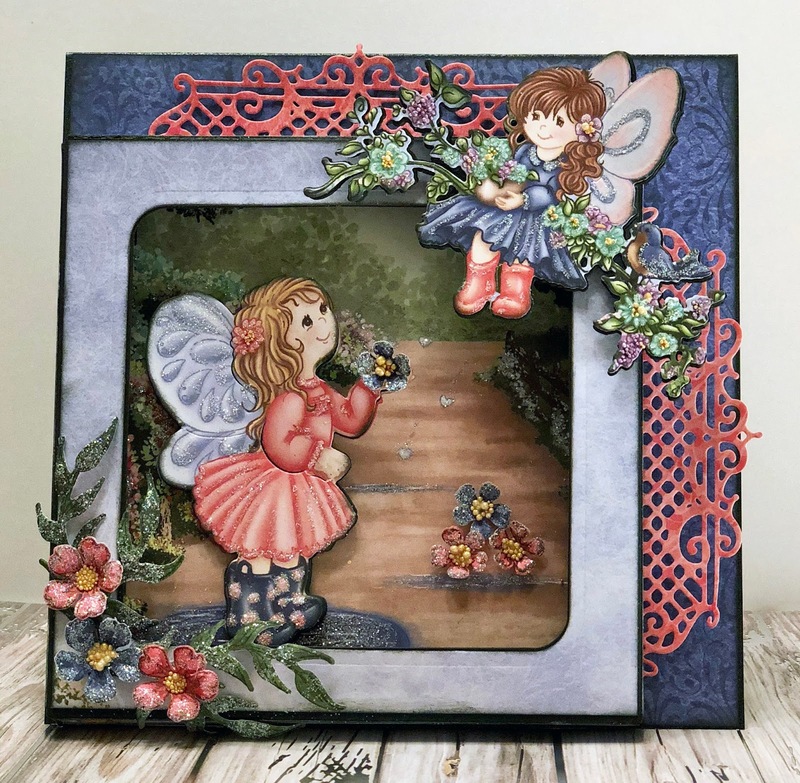 It’s time to cast off the winter time blues and enjoy those April showers that bring May flowers with the new Singing in the Rain Collection by Heartfelt Creations! 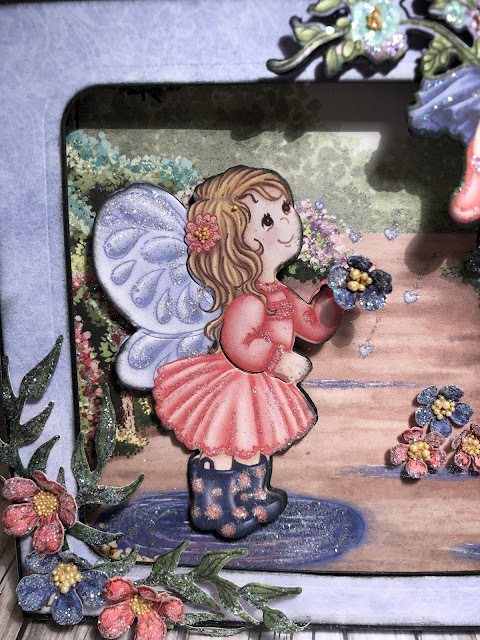 Puddle jump along with us as we explore a paper collection filled with darling illustrations of light spring rains, stylish umbrellas, playful rubber boots and delightful garden fairies all encompassed in rich tones of beautiful corals, bold blues and glorious greens! 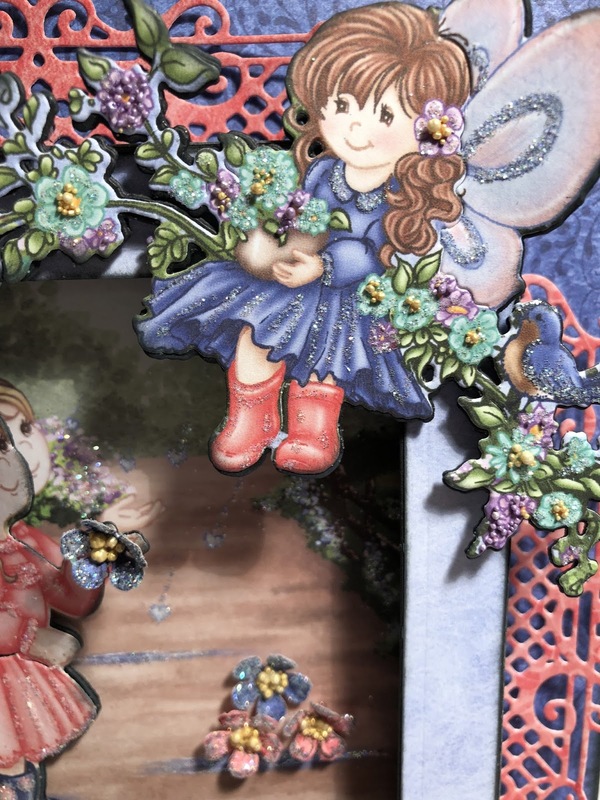 Heartwarming decorative papers laden with delicate floral flourishes, springtime flowers, chirping song birds, and lace like accents are just a few of the patterns ready to get you started on all of your spring themed creations! Four charming cling stamp sets along with coordinating dies will boost creativity and get you ready for the season of awakening with an assortment of playful puddle jumping rain boots, several stylish umbrellas, sweet song birds, and two adorable garden fairies…and of course, we can’t forget those dainty, first season florals that appear after mild springtime showers. So grab your rain boots, throw open your umbrella and tune up your voices! It’s time to celebrate the springtime season with some Singing in the Rain! Today I have a shadow box to share with you. These little fairies are absolutely adorable. Other Products: Pearl Black Cardstock, Distress Oxide Black Soot, Misti, Big Shot Plus. Card is 6” x 6”. Score a 6 x 12” piece of black pearl cardstock and fold in half to create card. Cut a piece of the blue paper from the paper collection 5 7/8” x 5 7/8”, ink the edges with black soot and adhere to the card base with dries clear adhesive. Cut paper from the collection to cover the 5 x 5” shadow box, cut out the center with the Cut Mat Create 2A die, ink the edges with black soot and adhere to the shadow box. Cut the panel from the collection with the Fairy stepping in the puddle, and add to the inside of the shadow box. Add glitter to the puddles, the flowers and the raindrops. Fold the box and glue together. Cut the Window Box Elements from paper from the collection, adhere to the back of the box as shown and then adhere the shadow box to the card. Cut another piece 5 7/8” x 5 7/8” from the paper pad, ink the edges and adhere to the inside of the card. Diecut the fairies from the paper collection and cut 3 more from black cardstock, adhere together to make them like chipboard. Slightly shape them, add glitter and prills and adhere as shown. Stamp the wildwood florals and the leaves from this collection with tuxedo black on paper from this collection, diecut with coordinating dies, shape with the floral basics mold, add glitter and prills using dries clear adhesive and adhere to the shadowbox with hot glue gun. I love this! Lots of pretty sparkle too! Janet, your Shadow box card is so adorable! Love it!